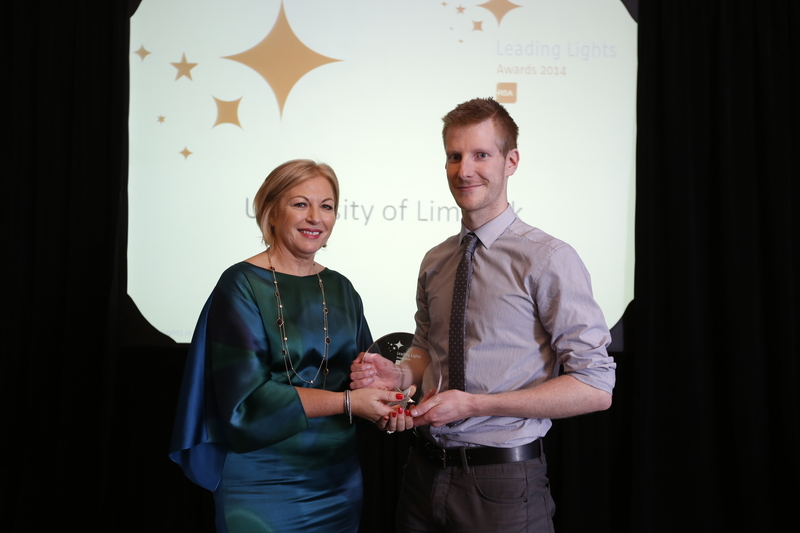 RSA Chairperson, Ms. Liz O’Donnell, presenting the Leading Lights Award to Seán Collins on behalf of the University of Limerick. From over 100 nominations in various categories, the University of Limerick Smarter Travel Team was recently chosen by a judging panel as winners of the Education: Third Level / Further category in the Road Safety Authority ‘Leading Lights in Road Safety’ Awards. The award was presented to Seán Collins, on behalf of the University of Limerick, by Ms Liz O’Donnell, Chairperson of the Road Safety Authority. Ms. O’Donnell explained that “the project clearly demonstrated the excellent work UL Smarter Travel is doing to save lives and prevent serious injuries on our roads”. The awards ceremony took place in Farmleigh House, Phoenix Park.